We have been hearing and seeing the Motorola DROID 4 since October, last year and every time we felt we were closer to launch it got delayed further. While most expected the phone to go on sale in December, that clearly did not happen. Instead the phone got a soft launch at CES, along with other Motorola phones but even then Motorola failed to mention a launch date. Now there is a new rumor going around that suggests that the launch won't be long from now. Droid Life has heard from its sources that the phone will go on sale on Thursday, February 9, which is a week from now. As its predecessors, the phone will sell for $199 on a two-year contract. 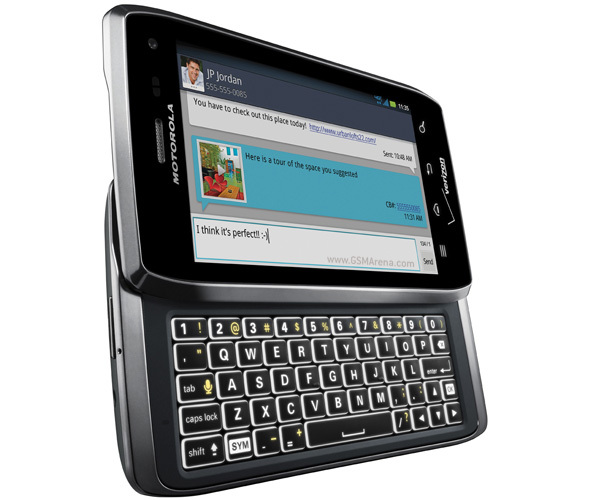 In case you're not aware, the DROID 4 is like the DROID RAZR but with a full QWERTY keyboard. It has dual-core 1.2GHz Cortex-A9 processor, 1GB RAM, 4.0inch, 960 x 540 resolution TFT display, 16GB internal memory, 8 megapixel camera and 1080p video recording. My bad :p Battery is un-removable. One can remove the back-cover to insert sim and SD card, but not remove the battery.